A great opening day here in Whitewood! 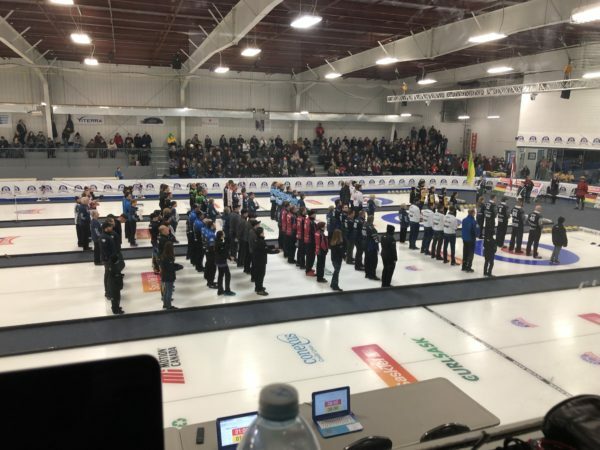 The smallest community to ever host the SaskTel Tankard has showed off a fantastic facility and world class hospitality thus far. The morning saw all teams getting their first chance to practice on this spectacular ice. We are in for a great week of curling! 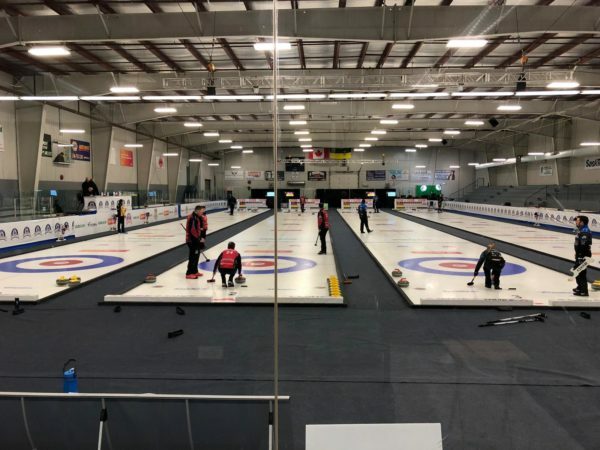 Fell vs Dunstone: Top seed Matt Dunstone fresh of a win at the World Cup of Curling in Sweden faced off against the Lloyd Fell team from North Battleford. The back and forth game saw the team from Regina getting off to an early 6-1 lead after 4 ends. Fell battled back valiantly but in the end it was Dunstone coming away with the win 8-6. Jacobson vs Deis: This game was excellent for fans. Jacobson, who was the B event qualifier through the Northerns, scored 5 in the 6th end yet still needed to play a gentle tap to the pin to score 2 in the 10th to win! Final score 10-9. Kleiter vs Heidt: The lone Junior team to qualify in this event was Kleiter. The were through on SCT points, very impressive for the young squad. They got off to a dream start notching a couple of steals early, on the strong Josh Heidt team from Kerrobert,and led at the 5th end break 5-1! Josh’s team fought hard and came all the way back to win in the end after Rylan Kleiter came up just a bit short on his draw. The local host committee in showed off their small town spirt and treated the players and fans to a wonderful opening ceremonies. Shortly after, with the stands packed with fans, the remain eight teams got to hit the Tankard ice for their first games. J.Hartung vs Muyres: The number 3 ranked team in this event (Muyres) broke open this game with a great hack weight tic in to the button behind a quarry of granite in the 7th end. This led to the first stolen point of the game and allowed the Muyres and Marsh brothers to cruise to victory 9-2 with handshakes after the 9th end. Armstrong vs Virtue: This game on sheet 2 had a late start due to ice maintenance. This proved to have little effect on the curlers though as more doubles were found here than at your local Tim Hortons! Virtue pulled this one out with a timely deuce score in the 9th end. Final score 6-3. Kendel vs Kalthoff: Team Kalthoff had a dominant effort in this matchup against the team from Kronau. They stole 2 points in the 2nd after a score of 1 in the first. It was pedal to the metal from that point on as they stole another 2 points in the 5th end. Final score in this one was 10-3. Howard vs K.Hartung: Low scoring affair here, the lone deuce being scored in the 8th by Kody Hartung. A steal of 1 in the 9th sealed it as generating a multiple score against this hitting powerhouse is very difficult! The number 2 seed Hartung squad pulled this one out 4-2.